On March 23, 2019, faithful Catholics gathered to pray the Rosary near the University of Louisiana in Lafayette, Louisiana. This event was one of 3,108 rallies organized by America Needs Fatima (ANF). The nationwide Rosary Rallies were placed under the patronage of Saint Joseph, the protector of the Holy Family. The goal was to promote traditional marriage and in reparation for the sin of homosexuality. Throughout the recitation of the Holy Rosary, attendees easily captured the attention of passing traffic with the unmistakable “God’s Marriage = 1 Man + 1 Woman” banner. 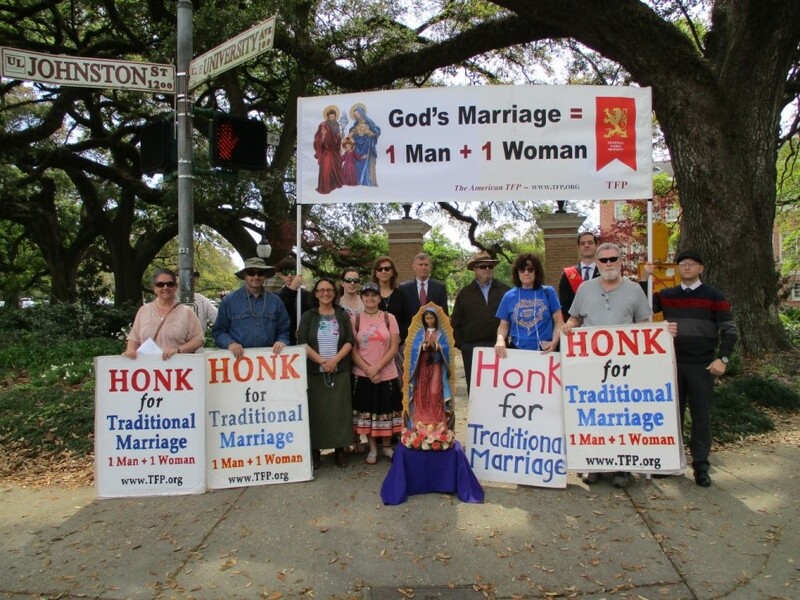 In addition, large vivid signs that read “Honk for Traditional Marriage” gave those in traffic a way to show support. They worked well and the honks were plentiful. About halfway through the Rosary, the driver of a large delivery truck decided to show his enthusiasm for traditional marriage, by continuously blasting his horn while stopped at the light. 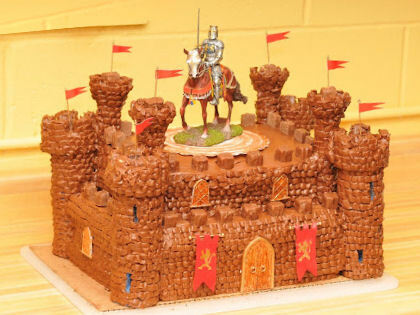 Others were encouraged by his example and followed suit. More and more drivers joined in the chorus until it was so loud that those praying the rosary could no longer hear themselves and had to pause. There was hardly a quiet moment. All who participated were eager and delighted to have been a part of this nationwide effort to stand up for God’s marriage. Dr. Jennifer Morse of the nearby Ruth Institute was thrilled to be at her first Public Square Rosary Rally for Traditional Marriage. The 3,108 rosary rallies across the country prove that Catholics will continue to fight for what is right and that no human power has the power to redefine the sacred institution of marriage.